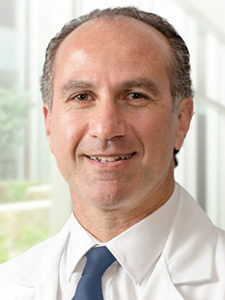 Dr. Alex Mirakian is a US Board Certified doctor in Radiation Oncology and previously served as a Fellow with the MD Anderson Cancer Center in Houston, TX. This was followed with a Fellowship in brachytherapy, stereotactic radiosurgery and intraoperative radiotherapy at Beth Israel Medical Center in New York. Dr. Mirakian specializes in breast, genitourinary, lung, head and neck, skin and GI cancers. He has 15 years of experience in radiation oncology, four years of internal medicine, and established the first HDR brachytherapy program for the treatment of prostate cancer at Fred J. Woods Radiotherapy Center in Tampa Bay, FL. He also has extensive experience in stereotactic radiotherapy particularly with Cyberknife treatments over the past 9 years. Dr. Mirakian is certified by MD Anderson Cancer Network®, a program of MD Anderson Cancer Center.